"My friend Jacob, his brother has a learning disability. It's amazing to see him work. 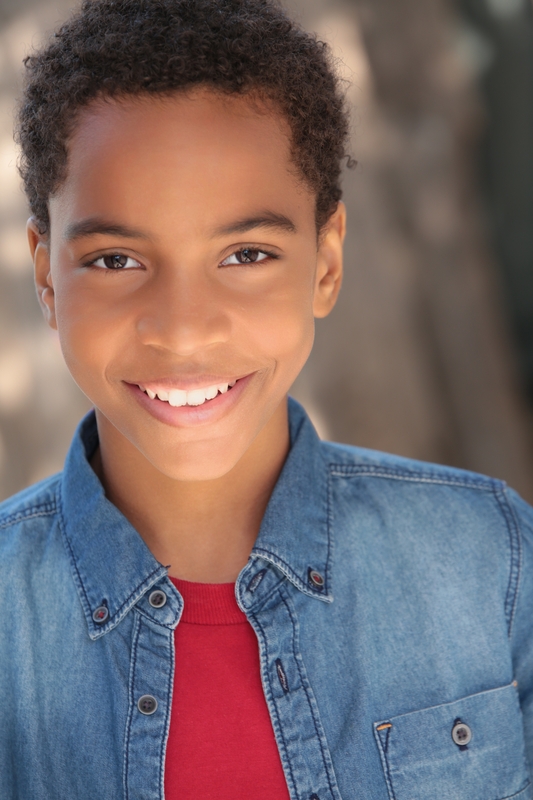 He is an amazing musician," said young actor Terrell Ransom Jr. the voice of Darwin on the Cartoon Network series ‘The Amazing World of Gumball" about how he was appointment as the Celebrity Youth Ambassador for The Jonathan Foundation's Spring Fundraiser to benefit children with learning disabilities. "In June I will be attending the event. I will just be...helping out." The Jonathan Foundation's Spring Fundraiser will be Saturday, June 11, 2016 at the Marconi Automotive Museum in Tustin, California from 6 - 10 p.m. Terrell is sharing the job as Celebrity Youth Ambassador with his friend Jacob Hopkins who also stars on the Cartoon Network series "The Amazing World of Gumball" as Gumball. "My friend Jacob plays Gumball he introduced me to The Jonathan Foundation. We sought of formed a friendship," Ransom said. The Jonathan Foundation, founded in 2001, is an Assessment Scholarship Program advocating for children diagnosed with Autism, ADHD, Dyslexia and other learning disabilities. It was founded by Raja Marhaba when his sons, Jonathan and Omar, were diagnosed with ADHD. Both his sons currently sit on the foundation's board, mentor to children and speak about what children with learning disabilities go through. "I actually played a boy with learning disabilities on ‘Days of Our Lives,'" said Terrell about his role as Theo Carver, which he played for seven years. "The role was an autism child." When I asked how he knew how to play a child with autism he said, "My mother introduced me to kids with learning disabilities." I can see why The Jonathan Foundation decided to have Terrell Ransom Jr. as their Celebrity Youth Ambassador. Ransom also starred in primetime television shows such as ABC's "The Whispers," "CSI" and "CSI: NY." "My ideal role is where I am starring in Star Wars and Marvel films. A Jedi in Star Wars, a lead role," he said enthusiastically when I asked what his ideal acting role would be. "...Or in a movie where I am a super hero." Just looking at his acting resume' I have no doubt he will make it to his desired acting role. Learn more about The Jonathan Foundation at www.TheJonathanFoundation.com. 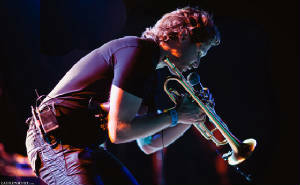 "It's all about being a musician," Trumpeter Matt Von Roderick said when asked about how a trumpeter ends up rapping and singing on his debut album - "Hero's Journey." "A singer is really a musician. A core element of the three that has been with me...the spoken word...more direct - through story telling. Jazz is amazing...the biggest gift to the entire world. Some circles don't know how to relax." Jazz certainly can make you relax, but Matt puts another twist to his music with his rapping and I must say his flow is impressive enough to make you want to move. His debut project "Hero's Journey" offers 12 selections, 11 originals and one cover of the classic "What a Wonderful World." "'Hero's Journey' ...is a return to love," he pointed out. "It's my desire to connect with people." As a trumpet player Matt has played on the stage with such great artists as Musiq Soulchild, Neil Diamond, Dionne Warwick and with the "Saturday Night Live" Band. "Follow your heart," the multi-talented musician said about life's journey after mentioning to me that he knew about my bio-book titled "Journey to Love". He said life has shown him clearly how true that statement, "follow your heart," is. My favorite selections on the "Hero's Journey" project include the first song on the album "Seize the Night" because of his impressive rapping style and also the way he makes his horn flip , the third selection "All For You" was so powerful and explosive, and I think I hear a bit of The Beatles flavor mixed in there somewhere, and the remake of one of my favorite classic songs, this song never fails to make me cry, "What a Wonderful World," you can not go wrong with this masterpiece of a song and Matt did not disappoint, in fact he provided a very fresh Jazz twist to it. "If You Can See It, and Believe It, You Can Achieve It"